Drink Milk? Eat Cereal? Chances are Good that You also Ate or Drank Weedkiller! When we think of fruit and vegetables, we think of vitamins, fiber and antioxidants. Chances are that today, much of the food we eat also contains glyphosate. Monsanto, the giant chemical company, once claimed glyphosate is as safe as table salt. (In 1996 New York went to court to get the company to drop those claims). What is glyphosate? It is the powerful weed killer found in Roundup. Today California and the World Health Organization says glyphosate is a probable carcinogen in humans. Many states have banned the product as being too dangerous. 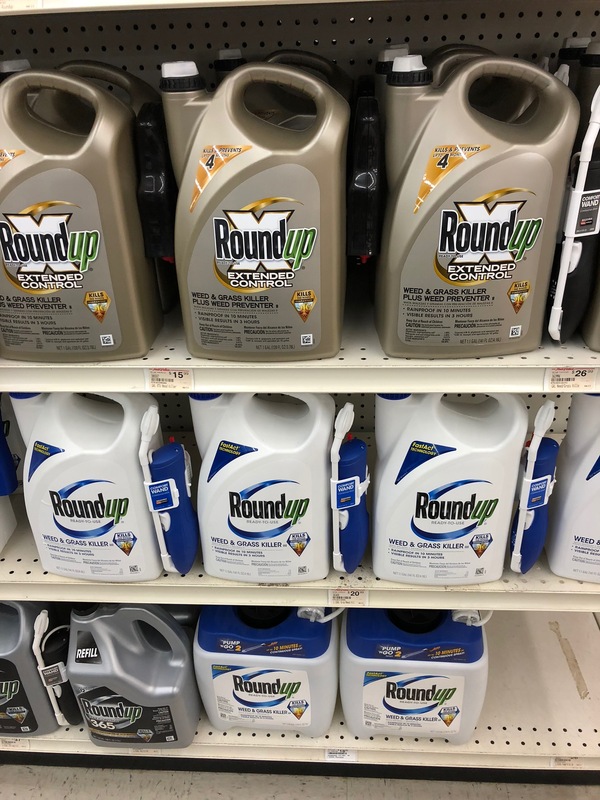 A San Francisco jury found that a school groundskeeper probably contracted non-Hodgkin’s lymphoma because of his exposure to Ranger Pro, the commercial version of Roundup. He was awarded $289 million but will likely die before he says a penny. What does Monsanto say? They continue to claim that glyphosate is safe. Many readers are saying what does this have to do with me? I am not a landscaper, not a groundskeeper and not a farmer. Think again. Despite earlier claims that Roundup quickly breaks down, it doesn’t. And since it used on specially genetic modified crops that are designed to be resistant to Roundup. The crop survives while everything else dies. Now some scientists believe that people may be dying too. It is not just the weeds. Why? Because we ingest the glyphosate when we consume these GMO crops. A survey of pesticide applicators in two US states found that most had high levels of glyphosate. Surveys have also shown that cows can accumulate glyphosate from the grass and corn they eat. The contamination is passed along to milk. And ultimately, to you and I through the foods we eat. We are especially concerned about the risks to kids. They are particular susceptible to neurotoxins including those from glyphosate. If all this isn’t scary enough, consider this. Glyphosate apparently can be transferred in utero. That means an unborn child may be exposed to what many consider to be very dangerous chemicals. 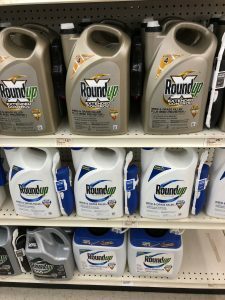 Despite an historic win before a San Francisco jury, the federal judge overseeing most of the Roundup cases say victims still have a difficult road ahead. Experts continue to debate the safety of glyphosate. One report says, “Glyphosate continues to be widely used because few, if any other herbicides, are as safe, effective, and economical. By safe, I mean safer than table salt.” Others vehemently disagree, however. A study using lab rats revealed that even daily exposure to ultra-low levels of glyphosate for two years led to nonalcoholic fatty liver disease in rats. Even if glyphosate is safe, however, what about the other ingredients? Some folks believe that the preservative benzisothiazolin-3-one causes health problems. And who knows the effects when all these chemicals are mixed together. We truly believe that Roundup is a deadly herbicide. Medical evidence suggests it causes leukemia, myeloma and non-Hodgkin’s lymphoma, all deadly cancers. So far, a jury has decided one case. There are over 8000 pending. Not every law firm can afford to take these cases to trial. And a few defense verdicts (cases where Monsanto wins) could impact all the other cases. Absent better inside information, that is a possibility. We are looking for people who work or worked at Monsanto or one of their outside labs that has information about Monsanto’s knowledge about its glyphosate products. We think Monsanto knows Roundup is dangerous and has known this for years. Now we have to prove it. That is where you can help.